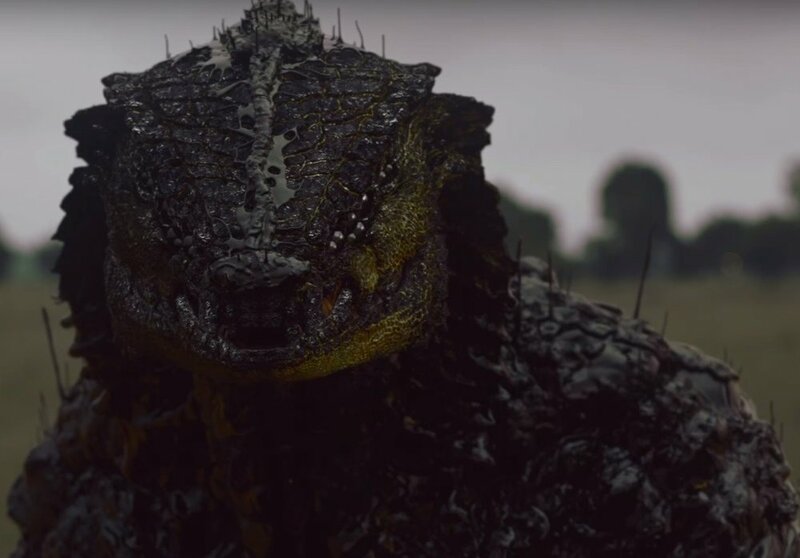 Neill Blomkamp, writer and director of the wonderful film, District 9, has dropped a trailer for his new series of short films. Cataloged as “Oats: Volume 1,” the project appears to be a visual effects playground for Blomkamp’s burgeoning Oats Studios. Though these shorts are the first of what is promised to be several efforts produced by the young Vancouver studio, they do include such stars as Dakota Fanning and Sigourney Weaver. You might recall Weaver’s previous collaboration with Blomkamp as CEO Michelle Bradley in the tepidly received Chappie. The short preview suggests a tread across familiar territory for Blomkamp and fans of his work. Shots of indentured humans at the hands of aliens compliment his preferred themes of social imbalance and disenfranchisement. Nonetheless, driven by his studio’s stated interest in experimental storytelling, moments like zombified soldiers trudging through a jungle, or a tendriled creature writhing at the end of a hallway, imply a chance for Blomkamp to grow in the more concentrated space of short storytelling. Blomkamp has been chatty since the release of the trailer, offering bits of insight on his Twitter to those who ask. Notably, he confirmed the shorts will be released on Steam, the hugely popular gaming and social platform. Though not the first distributor to do this (films like Silver Linings Playbook and Lion are available for purchase on Steam) Oats Studios will make the uncommon decision to stream the films on Youtube as well. Blomkamp even highlighted a chance that the shorts “could be entirely free.” Most interesting and a dramatic departure from industry standards is Oat Studios’ intended approach to the material it has generated for these short films. Blomkamp has hinted that assets such as 3D models, music, and concept art will be available for purchase if demand is sufficiently high. He even went as far as to suggest that certain material such as dailies could be made accessible to instructors of film editing courses and the like. This is a massive step when one considers the type of raw material most students and aspiring artists are limited to as they grow in their respective industries. Blomkamp seems intent on subverting the dominant trend of tightly regulated assets by opening and democratizing consumer and professional access to them. It’s unlikely larger studios will follow suit anytime soon, if at all, but it offers a refreshing take on the process. It has, nonetheless, been a rough road for Blomkamp since District 9. His sophomore film, Elysium, returned a modest $286 million globally on a budget of $115 million. Blomkamp himself acknowledged the flaws of the movie in a 2015 interview, stating that “the story is not the right story… I just didn’t make a good enough film… the script just wasn’t there; the story wasn’t fully there.” Unfortunately, his follow-up, Chappie, found itself similarly crippled, despite the return of his writing partner and wife, Terri Tatchell. Consensus ended up painting Chappie as his weakest outing yet. It’s likely that as Blomkamp shrinks the scope of his stories, their strength will grow. This endeavor marks a potential return to form for the Sci-Fi filmmaker, who got his start when Peter Jackson took note of his short films in 2006. Unfortunately “streaming soon,” was the only hint we’ve been given, indicating we won’t have to wait long.